She was getting over a bad breakup and found her new best friend across the world. After going through a bad breakup, a woman from Pennsylvania decided to go on the trip of a lifetime to try to find herself — and she ended up finding someone else, as well. "I wanted to do something that would allow me to become more independent," Jessica Haltzman told The Dodo. "I decided that after my AmeriCorps year of service was finished I would travel." Haltzman learned about a tree conservation organization in India called Sadhana Forest. "I decided that would be the perfect place to start," Haltzman said. In the midst of this journey, Haltzman was staying at a hostel in New Delhi, India, one day when she heard crying. She rushed outside to try to locate the individual in need of help. "What do I find? 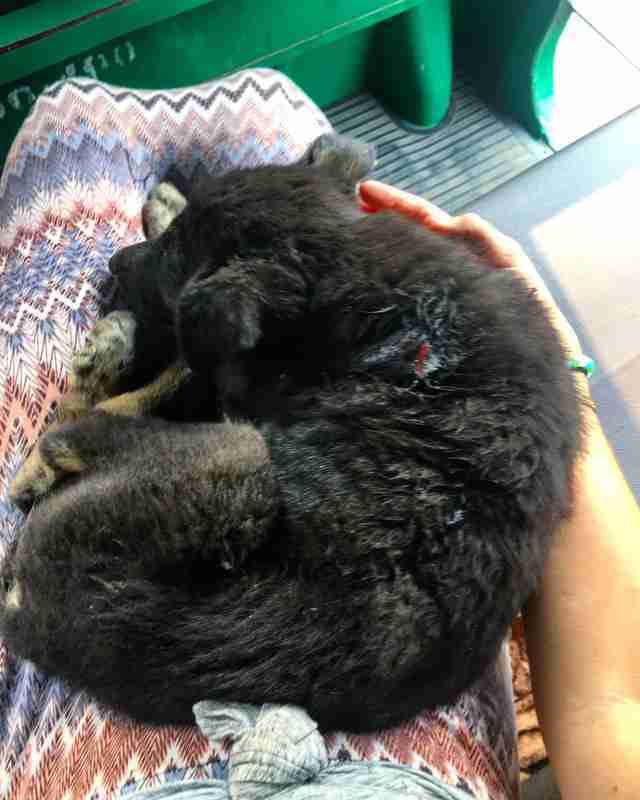 I find a tiny little puppy laying on the street in front of the hostel," she said. "I knew at that moment I needed to save his life." Haltzman immediately picked the little dog up — he was obviously injured and in pain. 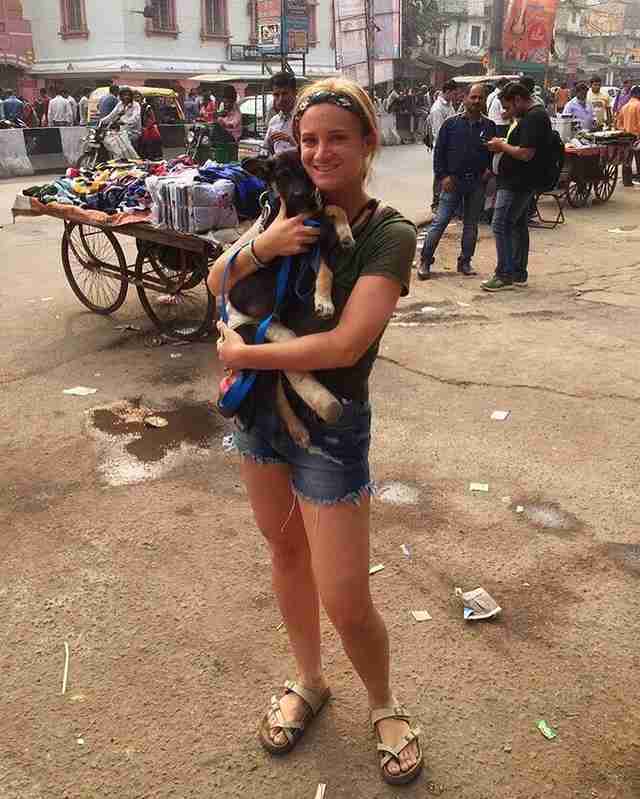 "I ran around the streets of New Delhi frantically trying to figure out where I could find a vet," she said. "Finally, this one tuk tuk driver knew of a vet and took me there." 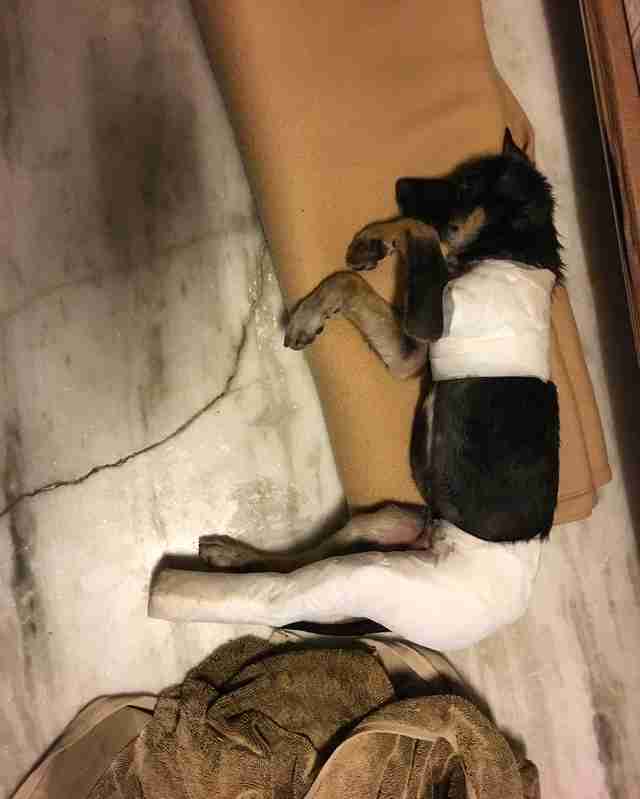 Both of the puppy's hips were broken, Haltzman discovered, and he had a wound that was infected. 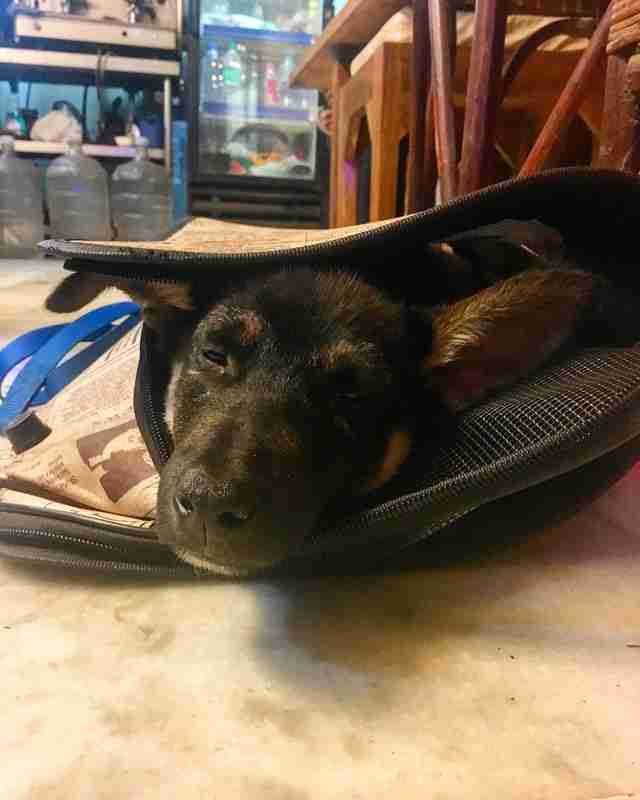 The vet wrapped up his legs in casts to help them heal, and meanwhile, Haltzman found a pet shop where she bought everything she would need to take care of this little puppy. "Of course the amount of anxiety I had was insane," Haltzman admitted. 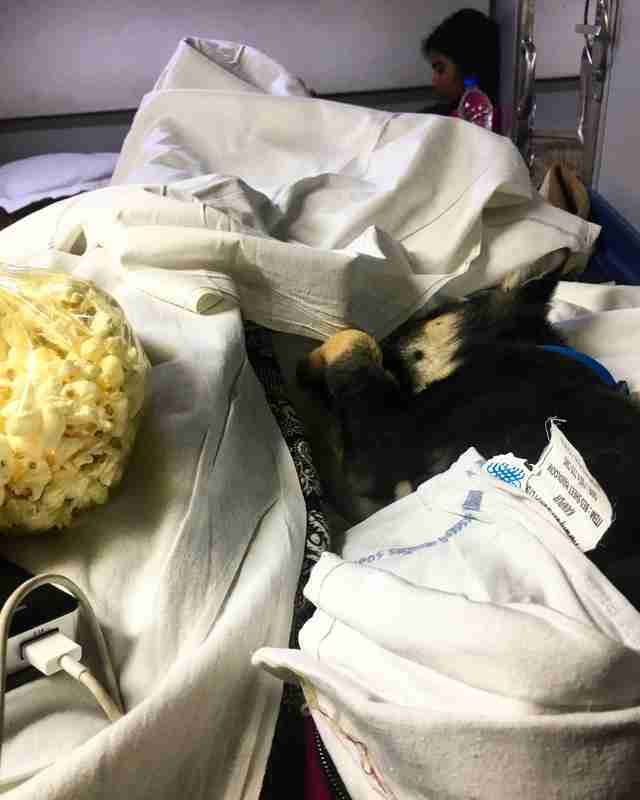 She still had a lot of traveling ahead of her, and now she had an injured puppy in tow. 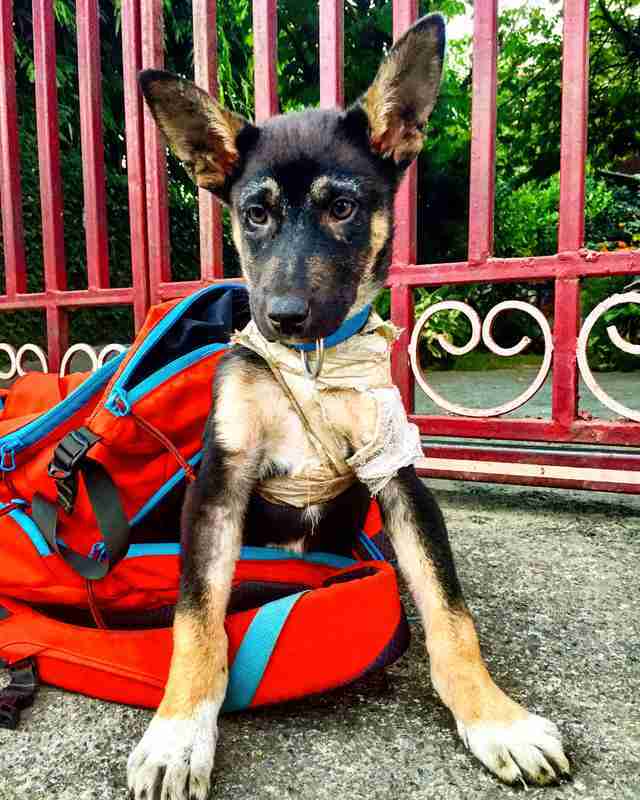 "How am I supposed to travel Southeast Asia with a dog?" Haltzman changed all her plans. 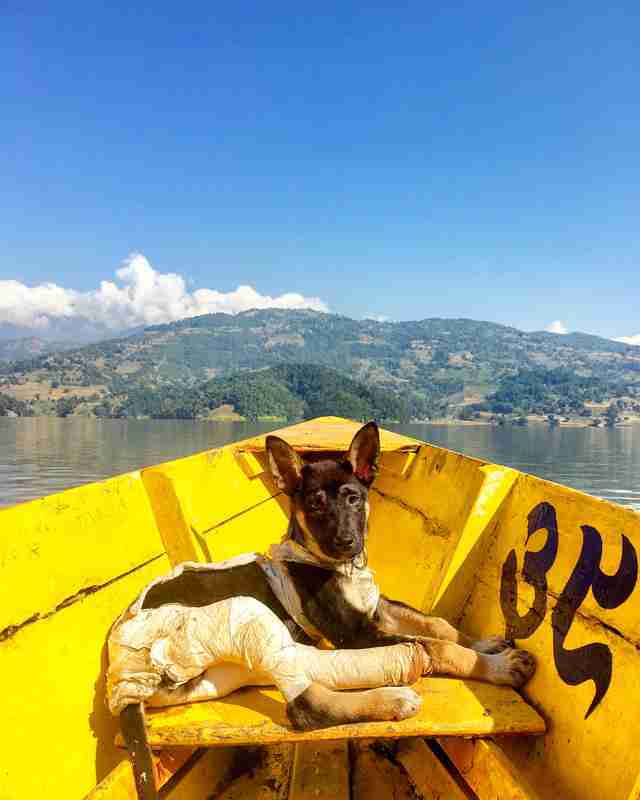 She canceled her flight to Nepal and instead booked a bus ticket, so that the puppy could come with her. She got the puppy all the shots he needed to travel. She named him Delhi, after the city where he was found. "I was a ball of anxiety and I could not sleep. I could not let this dog down," she said. Haltzman kept traveling, with Delhi by her side. They took a 12-hour train ride to Varanasi. And then the next day Haltzman and Delhi boarded a bus bound for Kathmandu, Nepal. The ride was 24 hours long. "Delhi was a perfect boy and slept the entire time and had no accidents," she said. "He was a perfect angel." It quickly became clear that Delhi and Haltzman share a similar nature — they both love to travel, meet new people and see new places. "He has charmed everyone he has met and has made so many human friends," Haltzman said. As adventurous as Delhi is, it's still important that he rest and recover from his injuries. Soon, Delhi and Haltzman will travel to Thailand together, and that's where the pair will separate — just for a little. "Luckily my mom is meeting me in Thailand. She is going to fly Delhi back to the USA while I continue my travels till the end of February," Haltzman said. "My mom will be watching him till I get back. He is going to be the most spoiled dog." When Haltzman returns to the U.S., she'll be off on a new adventure — and Delhi will be by her side. She and her new dog will be moving from Pennsylvania to Seattle, Washington. "He will be my adventure pup as I love to hike," she said. "We will be hiking a lot in Washington and all over the U.S. I hope to travel again with him internationally." 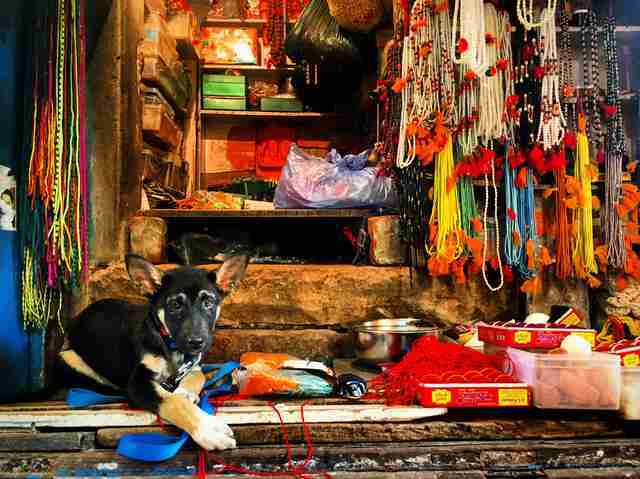 Haltzman wants Delhi's story to help raise awareness for street dogs all over the world. "I eventually want to start my own shelter," she said. "We were meant to find each other." You can follow Delhi's adventures on Instagram. And you can share this story to encourage everyone to adopt dogs in need.